We start our tour from the touristic town of Puerto de la Cruz. It’s hard to believe it’s already the 1st of December, we sunbathe in our T-Shirts as we wait for the bus to arrive with +20ºC. We suddenly feel very happy we took our sunglasses with us but we miss having those typical trousers you can shorten and extend when needed with a zipper (pro tip for Teide by Night since we will enjoy the sun by day but it gets colder at night). We meet the nice couples and families that will join us in this adventure and we chat a bit about Tenerife. Some of them already enjoyed the tour once but they loved it so much they booked it for the second time. The bus arrives and the lovely Tanya is ready to greet us. We find the bus is very spacious and we have plenty of seats to choose from (which side should we pick?). We later discover you have very beautiful views from both sides during the excursion so it doesn’t matter which side you choose! 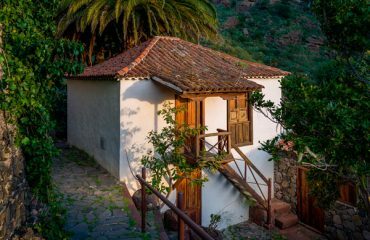 We start our journey heading north and driving by all the small beautiful coastal towns of the wine region of Tenerife: La Matanza, Santa Úrsula, El Sauzal, Tacoronte…We really enjoy the beautiful views of the abrupt Atlantic coastline. 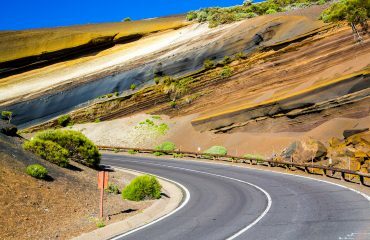 As we drive by the old capital of Tenerife, La Laguna, we start ascending to the National Park through the road of La Esperanza. The green countryside of Tenerife suddenly turns into a dense pine forest. Tanya explains us so many details about the island that we feel the trip is already worth it in the first 20 minutes. She knows everything, from historical events to all the details about the biodiversity of Tenerife. Plus, she narrates it in a very funny and enthusiastic way so that we have to laugh the whole a lot. As we start getting higher, breathtakingly views start to emerge from both sides of the island. 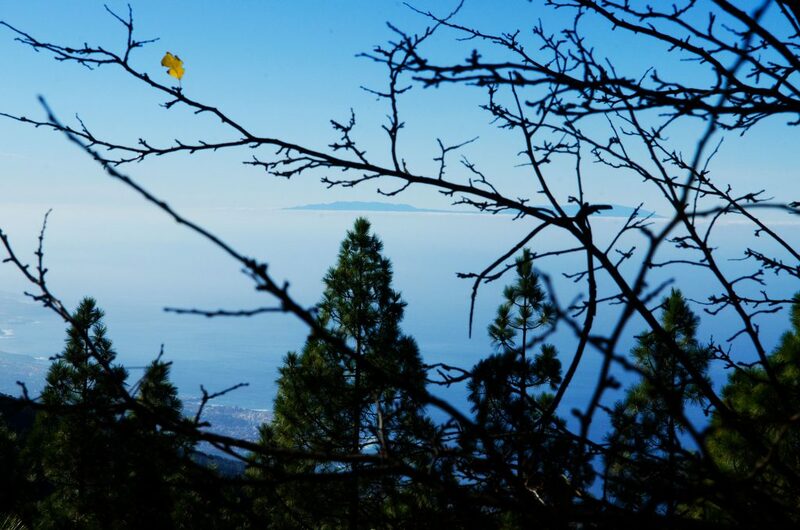 We observe Gran Canaria east and suddenly we are west on top of the Orotava Valley. 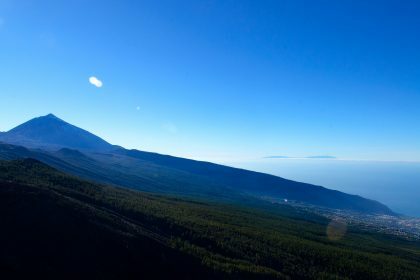 We stop a few times to enjoy the clean air in the National Park and to take some pictures of the views of Mount Teide and even La Palma Island. Sometimes when it’s cloudy, this is where you will drive over the sea of clouds towards the sun, a very surreal feeling. 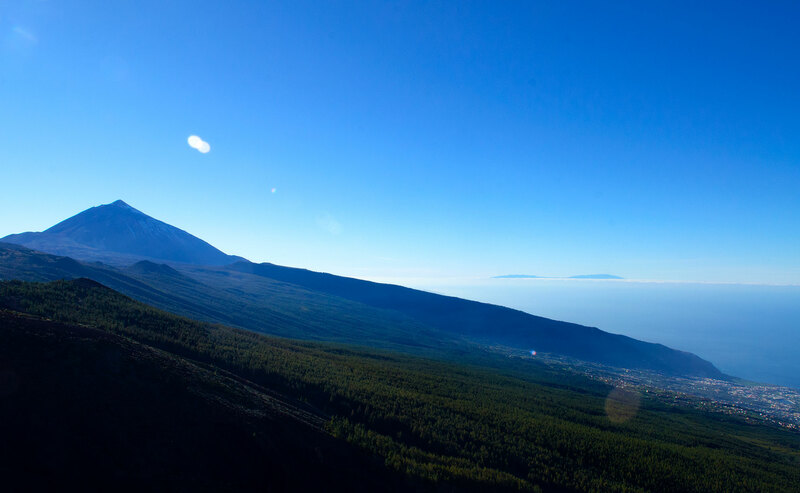 When the forest starts to evolve in a moon-like craggy landscape, you will know you are entering Las Cañadas del Teide. 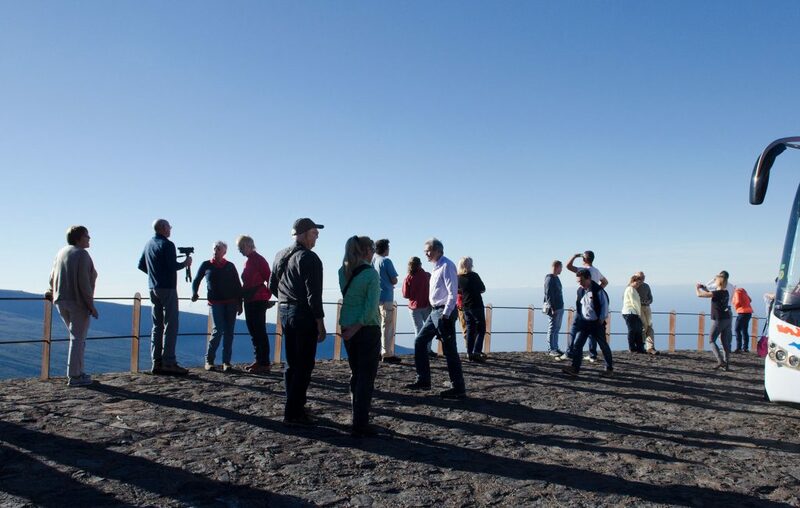 If it’s your first time visiting the Teide National Park, believe us, you will be astonished. It’s very different from what you’ve ever seen before. Unbelievable volcanic formations like the Teide Cake, Montaña Blanca and el Malpaís follow one after another. The whole National Park is bigger than you imagine. We make a quick stop by the restaurant where we can enjoy dinner afterwards to pick up some goods (yay, cava & orange juice). 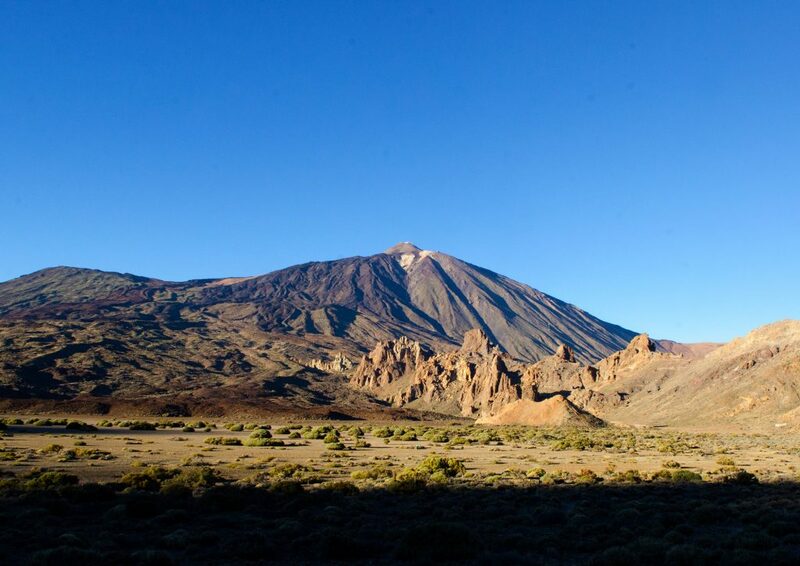 We drive through the whole volcanic valley and we make some stops with views of Mount Teide where Tanya explains us how the park was formed by various geological events. After the magical sunset experience, we drive to have dinner at El Papillon restaurant. 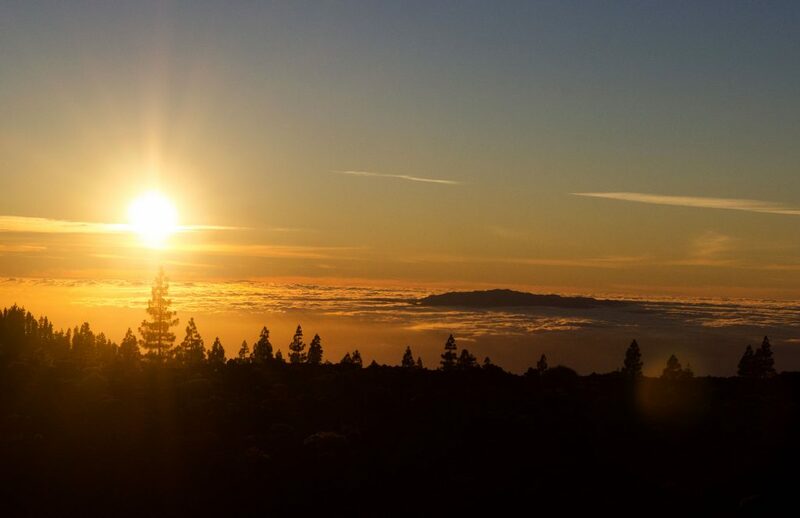 Since it’s already dark and it gets colder at this altitude by night, this is when we recommend you to change the short trousers and put on some layers: a warm coat, gloves…the Teide by Night team brings blankets with them so that you can warm up and snuggle with your travel partners. We believed the sunset moment was the highlight of the tour but here comes highlight number 2. Tanya takes us to a spot in the National Park to watch the night sky. 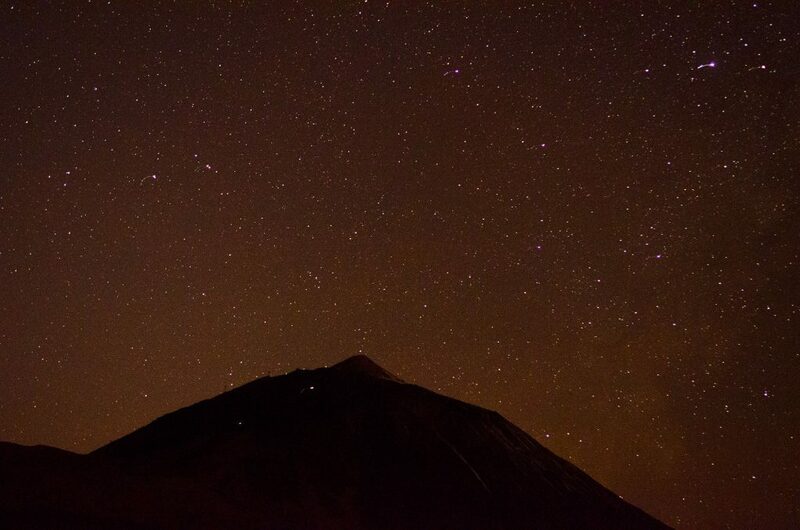 Tenerife is one of the best spots to observe the stars because of it’s clean air, little light pollution and, of course, the altitude (Mount Teide is the highest peak in Spain). 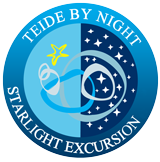 All the Teide by Night guides are certified by the Starlight Foundation so they know what they’re talking about. We don’t want to give too many details of this moment but Tanya really made us believe in magic with her explanation of the night sky. As we drive back to El Puerto de la Cruz by night, we feel our hearts full of joy and very thankful for the experience. 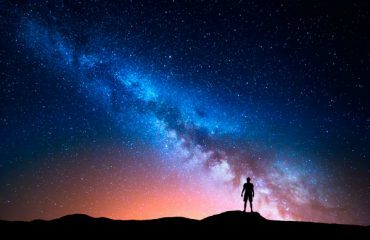 We slept like babies and we dreamt of faraway planets and galaxies.